Climbers' paradise. 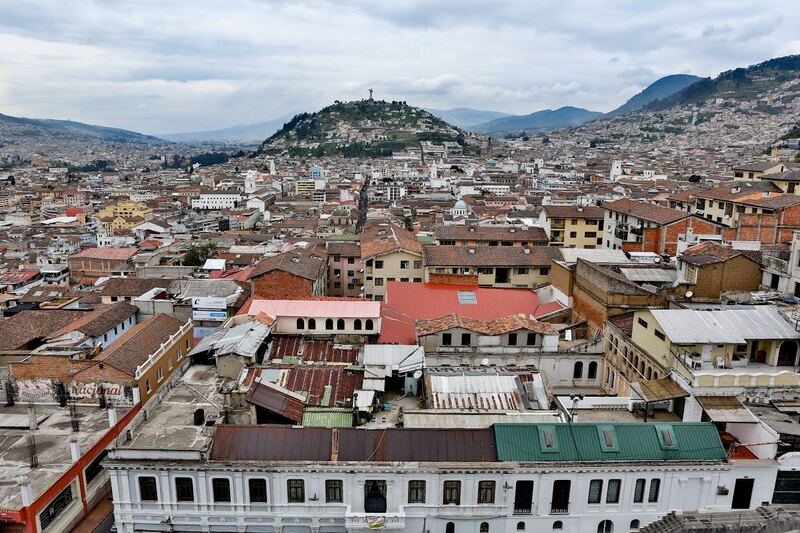 This trip will take you from the culture rich capital city of Quito to the grassy highlands, over rocky summits, and to the slopes of the country’s volcanoes. We will get to experience it all and get a taste of what Ecuador has to offer. 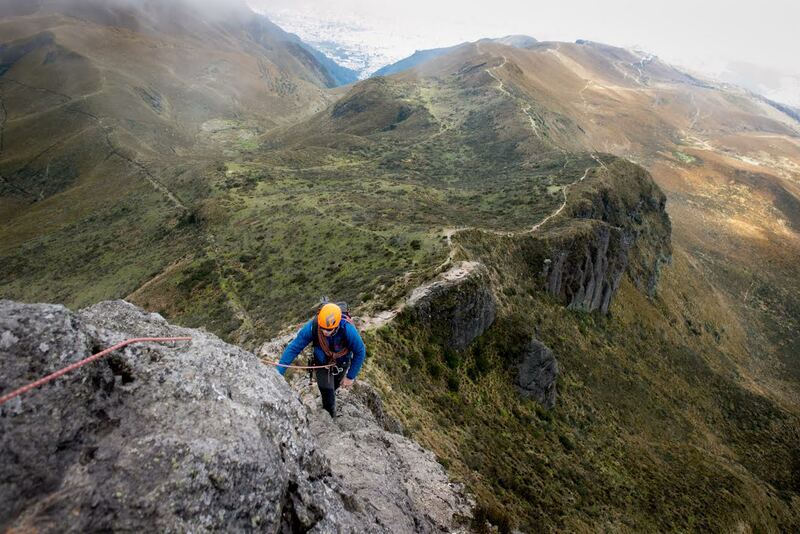 Whether you are looking for your first international climb, or have traveled the globe, Ecuador is a great climbing destination which will leave you with lasting memories and an experience like no other. This trip requires an excellent level of physical fitness and the completion of a one day mountaineering skills course. Participants should be familiar with self arrest, crampon technique, and posses prior climbing experience. We reach very high altitudes on this adventure, so proper training is imperative. Day 1: Today we arrive in Quito, Ecuador. We will check in to our hotel and get ourselves settled and rested from the long travel day. Many flights arrive in the evening. Day 2: We will meet for breakfast and an itinerary briefing. You will meet your teammates, NEM guides, as well as receive more information about Ecuador and our itinerary. We will spend the day adjusting to the altitude of Quito (approx 9,000ft). The day is spent sightseeing around the city. In the afternoon, we will take the Teleferiquo (gondola) to 13,000ft for a short hike to watch the sunset over many of the Ecuadorean Volcanoes. Day 3: Today we will climb our first peak. Rucu Pichincha (15,696ft). We will again, take the Teleferiqo to 13,000ft and begin our climb to the exposed summit. The return trip should take between 6 and 7 hours. Day 4: We will depart for the town of Otavalo. Along the way, we will stop at the Equator for a quick tour and some interesting experiments that can only be conducted at the middle of the Earth. We will have the evening to explore Otavalo and it’s famous marketplace. Day 5: After a leisurely wake-up we will head out for our second acclimatization peak. Fuya Fuya rises to over 14,000ft and provides a beautiful walk through high alpine meadows to the rocky summits. We will attempt to climb both peaks. After our half-day hike, we will drive back to Otavalo. The evening is free in Otavalo. Day 6: We will wake up very early and drive 1.5hrs to Imbabura. Our third acclimatization peak is over 15,000ft and will take most of the day. This is a spectacular climb that starts out in fields and ends in a true alpine-feel summit. The climb requires 3rd-4th class terrain near the summit. We plan to be back in Otavalo by 5PM in time for dinner. Day 7: After two days of climbing we get a rest day. We will have a late breakfast and make last minute purchases at the Otavalo market before heading to the Cayambe Refuge. The drive to the Refuge takes about 2 hours from Otavalo. The last hour is especially rough on a 4-wheel drive track. We are able to drive directly to the refuge at 15,100ft. We will spend the afternoon resting and hydrating. The night will be spent at the refuge to further our acclimatization. A fantastic dinner is included at the refuge. Day 8: After a delicious breakfast at the refuge, we will climb to the glacier on Cayambe at 16,000ft. The rest of the morning will be spent here practicing roped travel, crampon technique, self and team arrest. In the early afternoon we will descend to the refuge and drive all the way back to town to get a good nights rest at a relatively low altitude before our summit attempt. Day 9: Today marks the start of our summit attempt. After a late breakfast we will drive back up to the Cayambe refuge. We will eat an early dinner and try to rest before our 11PM wake-up call. A light “breakfast” will be served and we will be on our way to the summit of Cayambe by midnight. 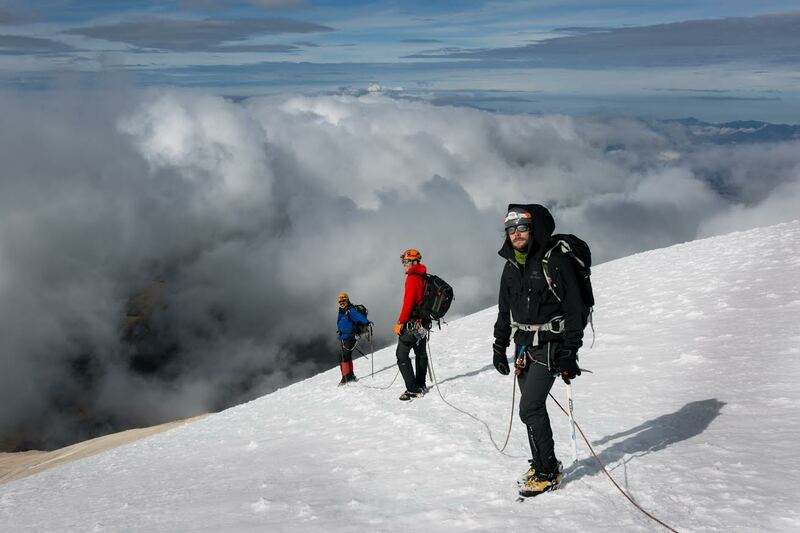 Day 10: With any luck and some good weather, we will ascend the slopes of Cayambe for 6-8 hours before hitting the summit just after sunrise. 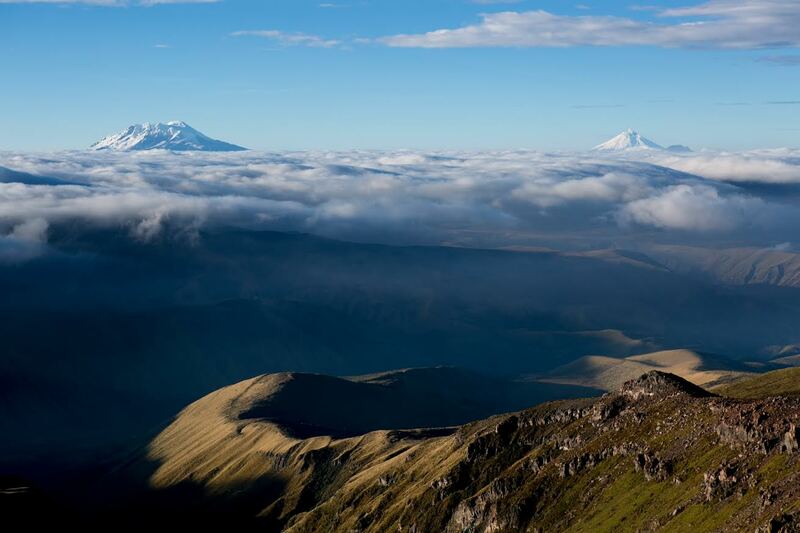 From the summit of Ecuador’s third highest peak (18,996ft) we have unobstructed views of Antisana, Cotopaxi, Chimborazo, Imbabura, and many more high peaks throughout the country. The descent will take about 3-4 hours before loading the truck and beginning our drive to town and a hot meal. We begin our celebration in style! We will drive to Termas de Papallacta. This is a world-class spa and resort with spa treatments, hot springs, and fantastic restaurants on the edge of the Amazon. We will spend the night here with heated pools right outside of our bungalow door. Day 11: After breakfast we will make the drive back to Quito. Evening flights home can be made or you may choose to stay another night. Overnight accommodations are not included. Coming soon. Check back often.